Hoover Dam is a concrete arch-gravity dam in the Black Canyon of the Colorado River, on the border between the U.S. states of Nevada and Arizona. It was constructed between 1931 and 1936 during the Great Depression and was dedicated on September 30, 1935, by President Franklin D. Roosevelt. The dam is named after America's 31st president, Herbert Hoover, who played a large role in bringing the nearby states into agreement about water allocations, settling a 25-year controversy. A National Historic Landmark, Hoover Dam is the highest concrete dam in the Western Hemisphere, standing at about 726 feet above the Colorado River. With 17 generators producing 4 billion kilowatts of electricity a year, it also is one of the country's largest hydroelectric power facilities. 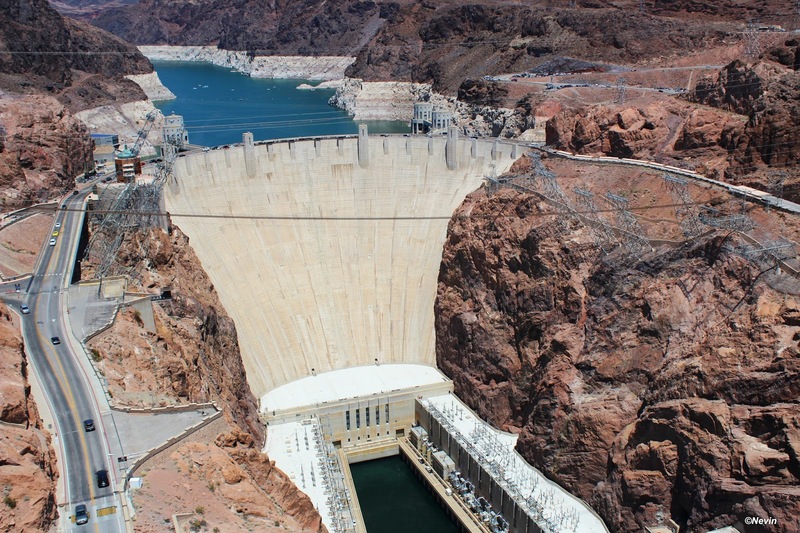 Hoover Dam was the world's tallest dam when it was built in the 1930s. Now it is the second tallest dam in the U.S., having been surpassed by the 770-foot-high Oroville Dam in Northern California in 1968. The globe’s tallest dam is the 1,001-foot-high Jinping-I Dam in Liangshan, Sichuan, China, which became operational in 2013.